For many people the mere idea of tofu makes them run for the hills. To all those naysayers I say – try it again! Have it prepared by someone who knows how to make delicious meals utilizing tofu. Press firm tofu to release all the extra water before using it. if you skip this step you are surely heading for disaster and a plate full of delicious tasting crumbs. Tofu fries best when you squeeze out the excess water and make sure your pan in nice and hot. 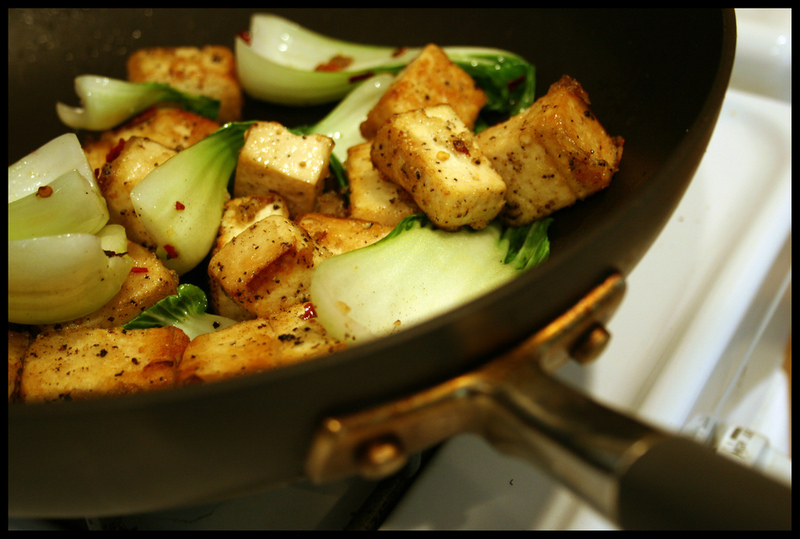 When storing tofu simply put it in a bowl or container covered in fresh water. Make sure that you change the water daily. 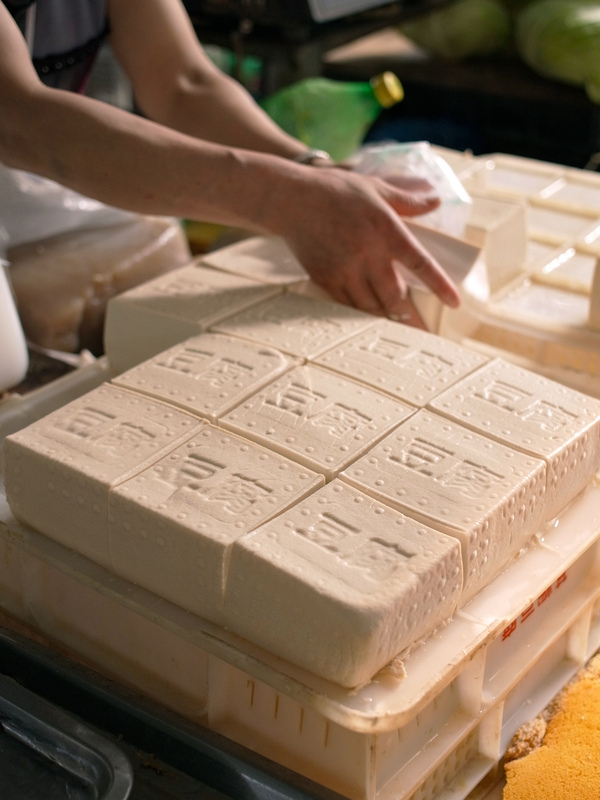 Tofu is a sponge for flavor. A simple marinade will result in a very tasty dish. 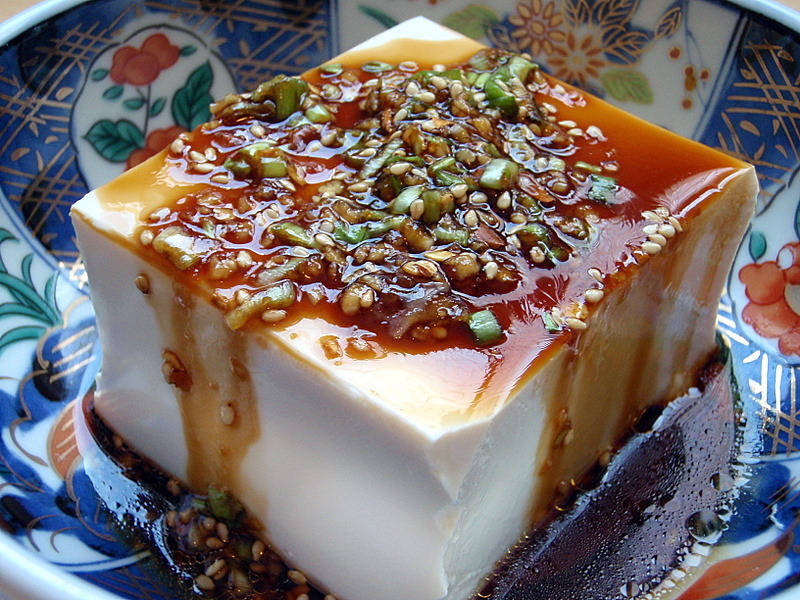 Just make sure that you are using the right kind of tofu (soft or silken, firm through to extra firm) for the right dish. During Lent I have to satisfy myself with just looking at some pretty photo’s. In the meantime I’m gathering together many, many recipes that I will very soon be trying out. I love tofu too! I like doing overnight marinades with organic tofu. Do you have a good method for pressing your tofu? I ‘wrap’ the tofu very loosely in muslin cloth, then put it into a small bamboo steamer (for the drainage). I’ve cut out a circle that’s slightly smaller than the steamer from a plastic lid and then put a weight on that to press it down. It’s my ‘lazy’ way. If I’m in a hurry I just use two plates.